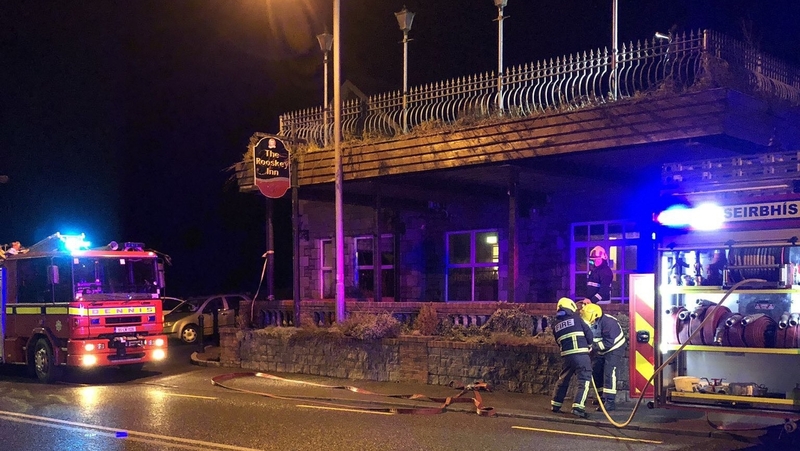 Gardaí in Co Leitrim is investigating an incident in a hotel in the city of Rooskey at the border of Roscommon tonight. The hotel Shannon Key West had to be adapted as a center for asylum seekers. Three units of the fire brigade responded to a report of a fire in the building, but there are no visible signs of a fire or smoke coming out of the building and an investigation is under way. Locals say that a report was made that an unidentified object was thrown on the balcony on the first floor of the building, but this has not been confirmed by gardaí. The scene is closed and a full investigation takes place in the next hour.